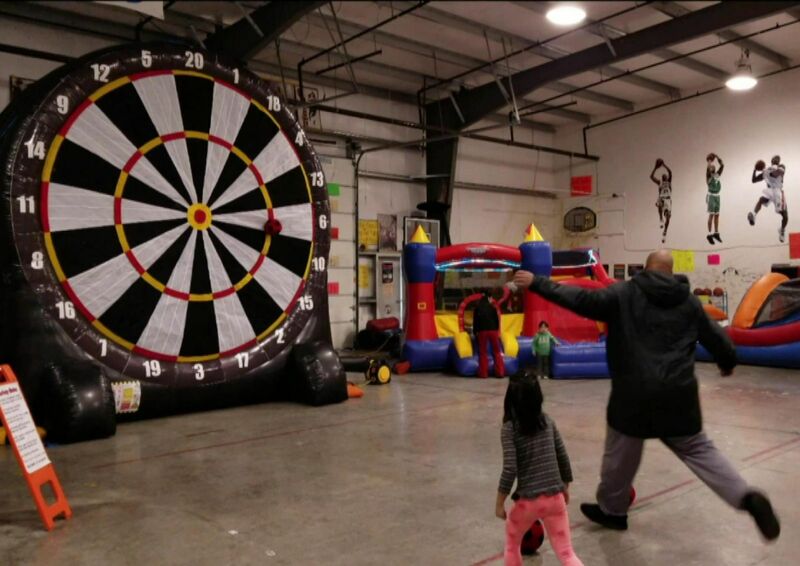 Soccer darts is the newest sporting game and is now available. It is lots of fun for everyone. What is it? 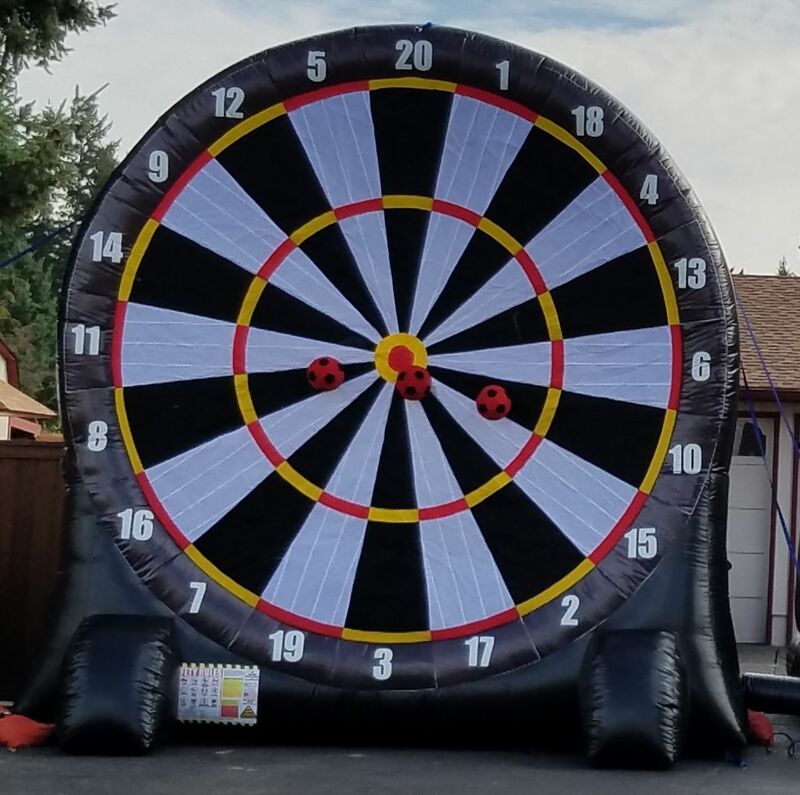 It's literally a giant bulls-eye inflatable target where the players kick a ball that sticks to the target and they collect points. Is your family full of sports fans? This inflatable game will also allow you to add the Archery package - giving you two games in one. When you are done playing games, you have the option of renting our home theater package. Using the movie screen on the back side of the game, you can turn your backyard into an outdoor movie theater. Do you have a sports fiend in your family? 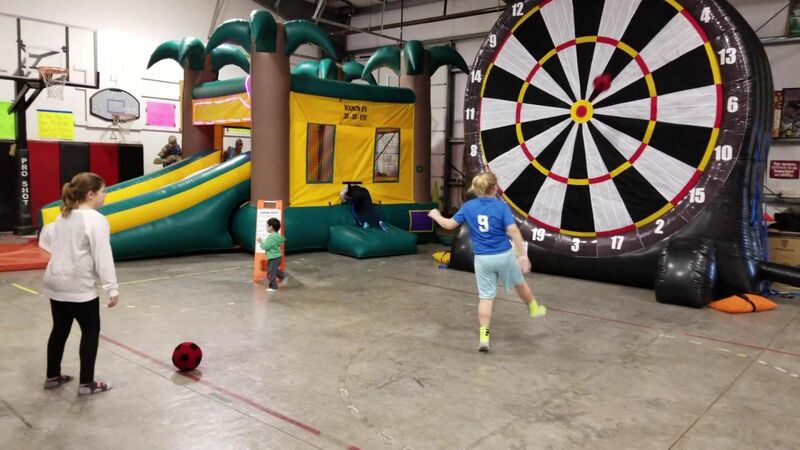 You can play either Soccer or Archery on this inflatable. It's your choice!! They say practice makes perfect, so here's your chance! You, your friends and guests can play games from the privacy of your yard! Great fun for all ages and skill levels. Time for some fun competition! Challenge your family, friends and co-workers. We can provide you with everything you need to put on a unique and ridiculously fun party!